A watershed-based planning approach can achieve multiple objectives: managing stormwater, watershed health, recreation and, and adaptation to SLR. A Watershed Master Plan (WMP) may include a flood assessment study, cost/benefit analysis, water quality and stormwater master plan, grey/green infrastructure mapping, SLR predictions and impacts, land-use impact analyses and a biological/habitat health assessment. WMPs can be used to overlay future conditions and flood inundation, identify ecologically significant areas that provide habitat and natural floodplain functions for protection/restoration, establish stormwater management priorities and actions, identify developable lands and prioritize areas for retrofits or adaptive action. A comprehensive plan enables localities to identify, qualify and prioritize the most cost effective and efficient local or regional watershed restoration, flood mitigation and stormwater retrofits projects that will achieve the highest TMDL reductions, mitigate flooding and meet municipal separate storm sewer system (MS4) or combined sewer system (CSS) permit goals. In addition, these plans can identify areas to protect and restore through environmental site design (ESD) techniques, conservation easements, land-use designations, zoning, and PDR or TDR programs. Adopted plans approved by the VA State Water Control Board enable a locality's VSMP authority to establish more stringent water quality design criteria requirements for new development and redevelopment and can be used to establish alternative (typically more regional) strategies to comply with both water quality and water quantity requirements. Linear development projects like streets and highways and associated stormwater practices or watershed restoration projects in accordance with a Watershed Management Plan can provide localities with a more efficient and cost effective compliance strategy in lieu of strict on-site compliance. The planning and implementation process typically includes stakeholder education, outreach, involvement and participation which provides CRS points and meets MS4 minimum control measures. Virginia Beach has used an innovative approach to watershed-based planning. The City encourages resilient planning and infrastructure by focusing on water quality, the stormwater master plan, and Dewberry’s sea level rise comprehensive study in tandem, which they refer to as the “Trident Approach”. The Trident Approach considers all major sources of flooding- rainfall, backwater, and tidal. This comprehensive approach allows for more efficient planning, as higher coastal water levels will diminish stormwater system performance. These areas are synergized within the City’s Capital Improvement Program. The City plans for the entire watershed broadly, but looks at the City’s subwatersheds for more refined objectives and actions. 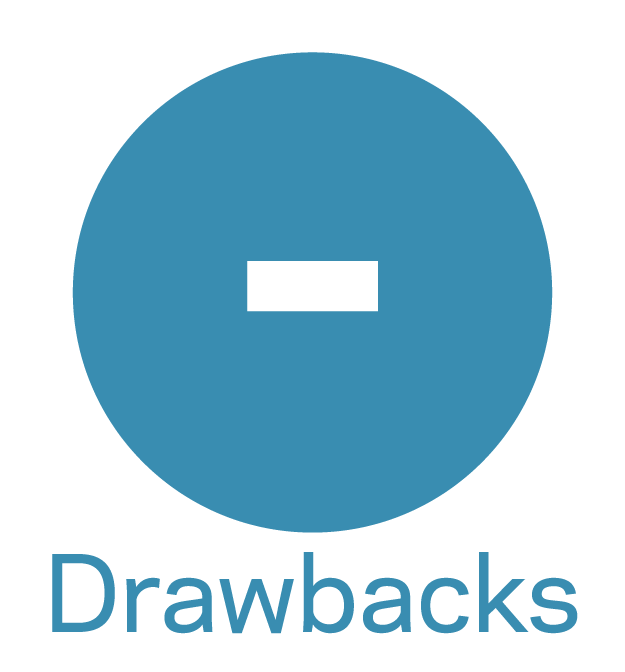 Dewberry prepared a comprehensive vulnerability assessment. Short and long-term risk reduction strategies are specific to the City’s 4 unique watersheds- the Lynnhaven, Oceanfront, Elizabeth River, and Southern/Ocean. Best practices vary in each area based on goals and physical conditions. Modeling vulnerability included considering the probability of both rainfall and storm surge, as well as regional precipitation trends and future conditions. 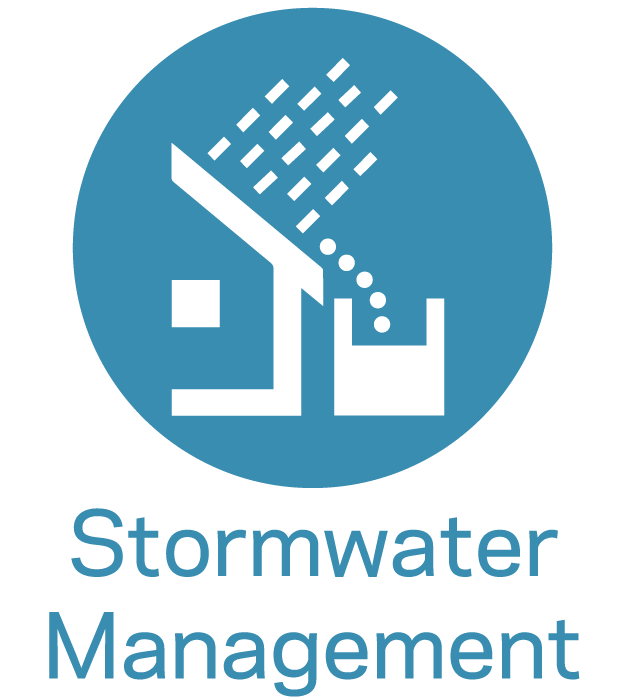 The City’s Comprehensive Stormwater Master Plan integrates stormwater management and quality improvement, flood mitigation and tidal surge (including sea level rise), regulatory compliance, and the Capital Improvement Plan. The Plan considers two scenarios in respect to sea level rise. An increase of 1.5 ft. is used over a 20-40 year time horizon for municipal planning purposes, including the Comprehensive Plan. A projection of 3 ft. of sea level rise is used as the basis for long-term decisions on critical infrastructure, over a 50-80 year time horizon. Response Plans have been developed to tailor specific adaptation plans for implementation in each watershed, including prioritized implementation “roadmaps” with planning, policy, and engineered solutions. The City has applied to the State Water Control Board for approval to use the plan and regional stormwater practices as an alternative way to comply with both water quality and water quantity requirements. EPA 319 Grant Program: Supports a wide range of activities including technical and financial assistance, education, training, and demonstration projects to assess the success of nonpoint source implementation projects. EPA Watershed Funding: The EPA maintains a list of resources cataloging federal funding sources for watershed protection. There are a number of emerging techniques to help fund the implementation of a watershed-based plan. Establishing cost-sharing measures is one way to allow multiple stakeholders to pool funds for implementation. The New York State GIS Cooperative Project was organized to facilitate the sharing of geospatial data between multiple organizations, reducing the costs tied to the collection and creation of data. James City County has established a Clean Water Heritage Stormwater Maintenance and Repair Grant Program, which provides funds to BMP owners for repairs and enhancements, which helps share the costs of continued upkeep for practices. The County established Special Stormwater Criteria and incentivizes watershed protection/restoration, ESD, LID and BMP retrofit projects through plans of development in accordance with watershed plans. Stormwater program funds (obtained through a SW fee/utility/tax) can be combined with funds from grands or included in the Capital Improvement Program to leverage additional resources. James City County, for example, dedicates a small % of property tax for green space acquisition, which is prioritized through their adopted watershed management plans. The Living River Restoration Trust (LRRT), established by the State of Virginia and managed by the Elizabeth River Project, receives mitigation funds, donations, and in-lieu of fees. The LRRT manages conservation easements and lands within the Elizabeth River Watershed either purchased or donated to the Trust. Localities are exploring a new financial mechanism to fund capital environment projects, called "Pay for Success". The DC Water and Sewer Authority issued an Environmental Impact Bond (the first of it’s kind) to fund green infrastructure projects within the DC Clean Rivers Project. The initial costs of installing GI are paid by DC Water, but payments on the bond are based on the proven success of the projects addressing stormwater management. Valuable tool to evaluate and integrate stormwater and floodplain management (along with a number of multiple benefits) on a more effective scale. Can result in fewer, but larger regional stormwater management facilities, strategically located to maximize benefits. Capital costs, including O&M, are typically lower than a piecemeal approach, due to economies of scale and potential cost-sharing arrangements. Could qualify as a Comprehensive Coastal Resource Management Plan that considers SLR impacts and adaptation strategies for tidewater localities. Existing conditions and data associated watershed health such as water quality and biological monitoring data, large areas of intact natural habitat, and rare, threatened or endangered species. Mapping of physical attributes such as drainage areas, steep slopes, erodible soils or eroded/unstable areas (e.g. streambeds, streambanks, shorelines), floodplains (and flood or storm surge hazard areas), wetlands, existing vegetation, tree canopy, A/B soils and other ecologically sensitive features. 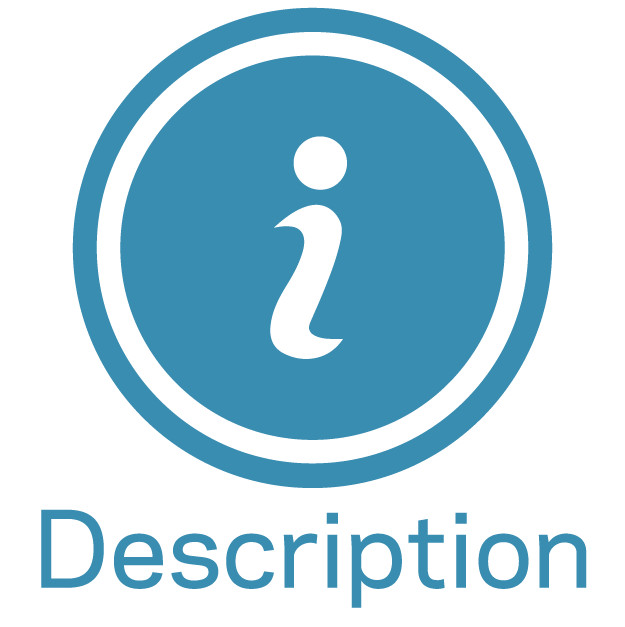 Include any physical features that may affect BMP feasibility (e.g. high water tables, karst terrain, low permeability soils). Map and evaluate existing and future land-use and land cover including runoff potential, impervious surfaces, recreational and open space areas, conservation easements, large intact forested lands, existing grey infrastructure stormwater system (point and non-point pollution sources) and existing SW facilities, an inventory of hydraulic structures, and significant water storage areas, drinking water supply features, protected areas and flood mitigation areas. The next step in the planning process is to establish roles and responsibilities and a framework (regulatory and institutional) for plan implementation. Comprehensive planning is typically most efficient and effective at the watershed-scale, but implementation strategies and actions are often best assessed and applied at the subwatershed-scale. Plan strategies should consider mitigating downstream impacts, and include monitoring and ongoing maintenance. An Implementation Plan should include a schedule for practice implementation, education/outreach activities, measurable milestones, and water quality benchmarks. Finally, when considering BMP feasibility, consider physical attributes or other factors that may impact use of certain BMPs. Regulatory - to comply with the Chesapeake Bay Act, the Chesapeake Bay or other TMDLs, MS4 permits, floodplain management or other regulatory compliance programs. Through the VSMP program and local stormwater ordinance, legally enabling the plan, and essentially acting as an overlay district. The zoning ordinance can be used to minimize impervious cover and site disturbance and direct or incentivize development away for environmentally sensitive areas. Environmental site design, prescribed through the VSMP and encouraged during the site design process can reduce runoff and improve water quality on-site, reducing the need for structural solutions and protecting high value habitat, A/B soils, and vegetation that provide natural floodplain functions. To be approved for use as an alternative way to comply with both water quality and water quantity VSMP and TMDL requirements, a locality must demonstrated to DEQ and the State Water Control Board (SWCB) that the Plan will result in the same (or better) results as conventional implementation of the requirements. After approval, nutrient reductions achieved must be documented to demonstrate compliance. The Plan develops total nutrient reduction targets based on impervious area at expected build-out. Should the percentage of impervious area change (through a rezoning or otherwise) an amendment to the Plan would have to be reviewed and approved by the SWCB. When adopted as part of (addendum) a Comprehensive Plan, projects can be incorporated into and funded through the CIP, direct growth, transportation and land-use decisions, green space acquisition or easement programs and floodplain management and hazard mitigation plans. .
Ex. 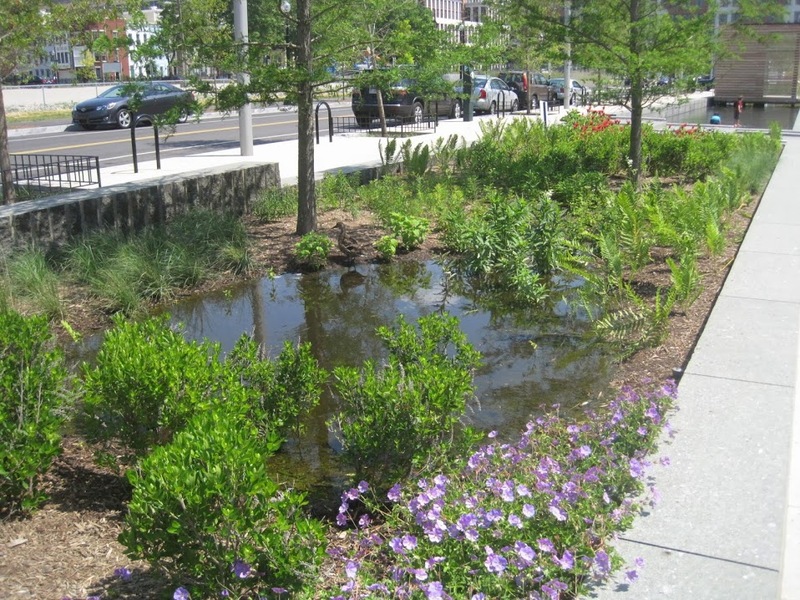 The Arlington County Stormwater Master Plan is one of ten Comprehensive Plan Elements. CIP funds stormwater and water quality projects identified and prioritized through the stormwater master planning process including: watershed retrofit projects to help reduce the impacts of stormwater runoff on local streams, the Potomac River, and the Chesapeake Bay. This program also includes green street retrofits, stream restoration projects to reduce flooding, improve water quality, improve stream stability and habitat and to protect infrastructure. Water quality projects like the Four Mile Run Tidal shoreline restoration project are combined with park system projects like bike trail reconstruction and development of an overlook platform. A joint effort between staff in multiple departments and/or among multiple stakeholders can help identify and prioritize projects with co-benefits, while sharing the implementation costs and resources. A unified approach creates consistency and effectiveness, while improving water quality and quantity. Ex. Prince George County’s Community-Based Public Private Partnership (CBP3): Uses a public-private partnership to build green infrastructure on a massive scale. This includes additional economic incentives intended to boost the local economy, such as relying on local women and minority-owned businesses, and hiring at least 80% of project workforce locally. When addressing nutrient or other pollution, it may be best to prioritize especially degraded watersheds. This may be facilitated through a stormwater BMP transfer program. This may address an existing inefficiency- namely stormwater regulation, requiring costly initiatives in areas with little ecological benefit. This can be a big drain on locality staff, and increased flexibility could ensure funds are being used efficiently, addressing areas with the most pressing pollution and flooding problems. Additionally, the Runoff Reduction Method requires total phosphorus reduction by 10%-20% for redevelopment projects- even if there is no increase in impervious cover. If the cost of BMP installation is not justified by its ecological benefits, a BMP transfer program, or paying into a fund for a priority area conservation, could result in more benefits to the locality. The Virginia Code allows for compliance offsets within a watershed plan, which could include off-site mitigation, compliance trading, or fee-in-lieu options. This flexibility results in increased cost-efficiency by prioritizing the most effective strategies for load reductions. Offsets must be achieved within the same HUC watershed. Allows properties to generate Stormwater Retention Credits for voluntary green infrastructure projects, which are then privately tradeable in an open market to meet regulatory requirements. 1 SRC equals 1 gallon of retention for 1 year, and in 2016 these credits had an average price of $1.65. Outside of this market, an in-lieu fee can be paid to DOEE based on the same 1 gallon of retention annually. The locality must adopt a plan for a least 1 watershed draining into a locality, and the Plan must identify natural and constructed drainage systems & canals. Plans (addressing water quality, flooding, habitat, stream restoration, etc) at the watershed scale can qualify for CRS credit, and address a wide range of multiple benefits while allowing coordinated, multi-organizational action. Plan must manage future peak flows so they remain at or below present levels, and must manage runoff from all storms up to a 25-year event. Extra credit for plans that evaluate the impacts of sea level rise. Comprehensive Watershed-Based Planning is recommended in the Virginia Stormwater Guidance Manual to identify, prioritize and guide local and regional stormwater management programs and retrofits. Public outreach is a typical component of the watershed master planning process providing an easy source of CRS credit and meeting the two minimum BMPs associated with Municipal Separate Storm Sewer System (MS4) permit holders under the National Pollutant Discharge Elimination System (NPDES): Public Education and Outreach and Public Involvement/Participation. Creditable for watershed or green infrastructure plans addressing natural floodplain functions in a locality. Localities that have GIS mapping systems and incorporate data collected through stormwater and watershed planning processes to define areas that provide natural floodplain functions as layers in their system may get this credit. Create a publicly accessible map information service that must provide information about areas that should be protected as a result of their natural floodplain functions – inquirers must be told if property of interest falls within one of these areas. Typically this information is included in a localities property information mapping and query system. The ERP led an extension public engagement process to develop the Elizabeth River Watershed Action Plan.The ERP conducts outreach and education campaigns and extensive public involvement through a variety of plan implementation programs, some under contract with the Cities of Norfolk and Chesapeake. A locality's VSMP authority may establish more stringent water quality design criteria requirements. Operators may meet required phosphorus nutrient reductions through off-site controls utilized in accordance with a comprehensive SWM plan. Adapt VA: Data portal incorporating best available science, legal guidance and planning strategies for sea level rise adaptation. Comprehensive viewer contains a range of data useful for mapping efforts within Virginia. Chesapeake Stormwater Network: Provides webinars and guidance documents on existing and new Chesapeake Bay Program-approved best management practices. Virginia Department of Environmental Quality. (2013). VA Stormwater Management Handbook. Virginia Department of Environmental Quality. (2017). Guidance Manual for Total Maximum Daily Load Implementation Plans. Virginia Department of Conservation and Recreation. Local Watershed Management Planning in Virginia: A Community Water Quality Approach.